…..getting to know you…….come and meet us, the team behind the site. A little about us, our vision, passion and what drives us. Artist and "small child" (as he likes to call himself), Mark has been delighting us with his gorgeous paintings for decades. 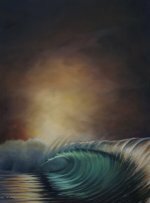 Imbued with wonderful light and depth, Mark transports us to places we can all relate to, bringing into his artwork the childlike wonder that inspires him every day in his artwork and his life. He is passionate about discovering tiny miracles in the world, and teaching others how to discover these moments. In the process of this discovery, often our view of the world is altered, and we regain some of the childlike qualities which tend to elude us in our adult lives. He has an infectious excitement about the artistic process, which he is more than happy to share with anyone and everyone. An inspiring and (hyper) active individual, Mark is always happy to have a chat and welcomes visitors to his working gallery in Lennox Head, Australia. 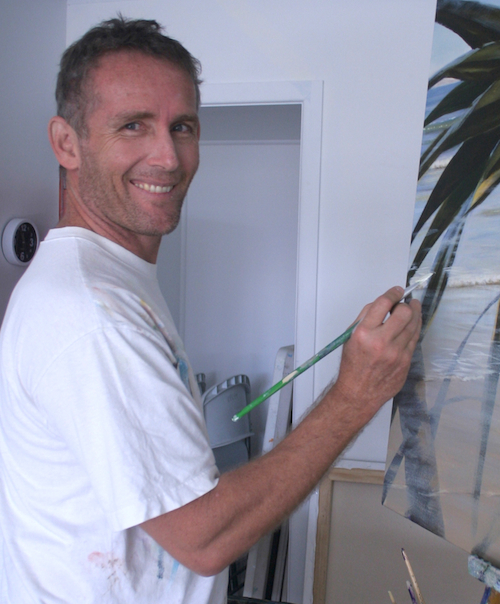 As well as being a successful professional artist, Mark is passionate about the environment, surfing, karate, his local flora and fauna; and also enjoys using reclaimed materials to build one off furniture pieces. 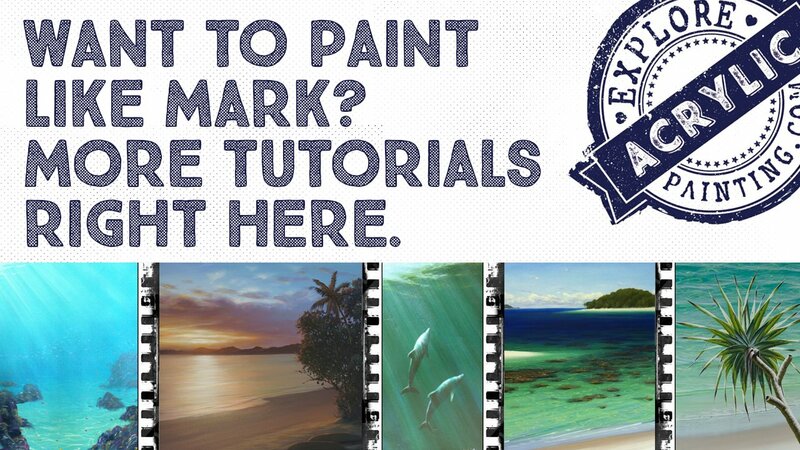 This website is a culmination of Mark's years of painting knowledge, laid out for you. (Before he forgets more than he ever learned!). Frankie brings to the team a sense of fun and unshakeable optimism, with a firm belief that literally anything is possible if you put your energy into it. Frankie has a background in Client Services and Administration, with strong creative design, marketing and problem solving skills. She is known for her fearless action and ability to take on any task (what, me make a wedding cake? Sure!..... What's that? You want me to build a website? Sure!) 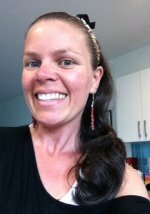 She has a strong creative background and always has a few projects on the go (don’t we all! ), painting, drawing, making wind chimes, invitations, anything really. She is mum to two young daughters, and runs a commercial floor laying business with her amazingly supportive husband of 17 years, Ross. She is a running nut, loves dancing, tennis and also builds pinhole cameras in her spare time. Of which there is almost none. We want to take the elitism out of art. 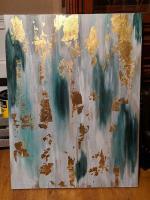 To demystify the process of painting and embrace the joy of creating. And through the process of exploration and experimentation, discover more about your painting skills and yourself. Mark has a unique approach to painting; and an enthusiasm that is infectious. He is deeply opposed to elitism in art, and wants to make his knowledge accessible for everyone. We hope you enjoy this site as a great resource for artists of all skill levels. Click here for Mark's art website. And a huge thanks to Solo Build It! for having such a great product, and allowing us to build our own website around our passion.